From the New York Times bestselling author of We All Looked Up comes the second novel in the Anchor & Sophia trilogy, where the rules of humanity are called into question by two warring cities. After their devastating journey from the Anchor to Sophia, Clive and Clover Hamill, Gemma Poplin, and Paz Dedios have all been separated—not only physically, but philosophically. In the Anchor, Clive would like nothing better than to never speak with Paz again, but when he is tapped to help with her interrogation, the two of them begin to reconcile their differences, which don’t run nearly as deep as they expected. In Sophia, as Clover learns more and more about the city and its enigmatic director, Zeno, his faith in his mission begins to waver. And Gemma embarks on a journey of self-discovery and spiritual expansion that will open her eyes…if it doesn't kill her first. In Slow Burn, the second book in the Anchor & Sophia trilogy, these four young people will be compelled to question everything they thought they believed—and the conclusions they reach could determine the fate of an entire civilization. THE MORNING AFTER HER ABDUCTION, Gemma awoke to a rumbling in her belly, a hunger whetted by the succulent aroma and homey sizzle of roasting meat. For just a moment, she imagined she was back at her grandfather’s house in the Anchor. Any second now, he’d call out—breakfast!—and then she and Flora would race downstairs to battle it out for the first helpings of scrambled eggs and bacon. The fantasy dissipated when Gemma opened her eyes. She lay between two fur blankets in a small, conical tent supported by three smooth wooden poles. Her wrists were bound behind her back with leather straps, but her legs had been left unrestrained. So it was all real: she’d been captured by the Wesah, who were taking her Daughter only knew where, and the odds were she’d never see her little sister or her grandfather ever again. She allowed herself to cry, but made sure to keep it quiet; she didn’t want the Wesah to know she was hurting. More than that, she didn’t want them to know she was awake. If they believed her to be asleep, she might have a chance at escaping. After the tears stopped coming and Gemma awkwardly wiped her cheeks with her shoulders, she crept over to the tent flap and peeked her head through. The campsite was larger than she’d expected—at least thirty small tents and a couple of larger ones. Tribeswomen walked the snowy lanes between these tents, spitting and shouting, laughing their throaty, masculine laughter. Not a dozen yards from Gemma, two men silently tended to the meat roasting over a large fire. They could only be the “missives” she’d heard so much about; watching them made her think about those comedic plays whose plots revolved around cross-dressing princes and mistaken identities. Odd to see a man cooking for a group of women; odder still to consider just why it looked so odd. But she was wasting time. Any moment now, someone would look in and realize they’d forgotten to truss the new prisoner’s legs. Though there was no hope of getting through the campsite unseen, with luck she could lose her pursuers in the snowy woods. (And then what? Don’t worry about that now.) She said a quick prayer, took a deep breath, and charged out of the tent, making for the sparse cover of the trees. The tribeswomen she passed watched her go with varying levels of amusement or contempt; no one made a grab for her, or bothered to give chase. Still, she ran as fast and as far as she could, sundering the silence of the morning with her ragged panting and muffled footfalls, leaving prints like a trail of bread crumbs in the snow behind her, until her muscles ached with the effort and the piercing cold had become a blessing. Only when her legs were on the verge of giving out did she press her back up against the trunk of a pine and begin rubbing the leather straps around her wrists against the rough bark. She’d been at it for about ten minutes when she saw Athène approaching. The chieftain looked younger than Gemma remembered, shorn of the authority conferred on her by the rest of the naasyoon, and her expression was serene, almost beatific. “You can go to hell,” Gemma said, still raking her restraints against the bark. Why did the leather have to be so wretchedly thick? Gemma couldn’t help but laugh; it was all nonsense. “Like I said, you can go to hell.” She tried to spit at the chieftain, but her mouth was so dry, she only managed a fleck. Athène wiped it away, calm but disappointed. “You will let go this anger, then we talk like nimish.” With that, she turned around and strode back toward the campsite. Here was more false freedom: the chieftain was giving Gemma the opportunity to run, but both of them knew it would be certain death to strike out into that desolation alone and fettered. Still, Gemma was tempted. At least she would die on her own terms, unsullied by whatever the Wesah planned to do to her. A breeze galvanized the leaves of a small, spindly oak that had survived half the winter with its coppery coat intact. Its crepitation seemed a kind of boast, a paean to its unlikely vegetal tenacity—only survive, it seemed to say. Gemma sighed. Freezing to death just to spite her enemies held a certain melodramatic appeal, but she knew it was a selfish and vain fantasy. She wasn’t alone in this world. How would Flora get by without her, or her grandfather, or even Clive and Clover, wherever they were now? Gemma had to do whatever she could to stay alive—for their sake, if not her own. She would bide her time, play the compliant captive, so that when she eventually escaped, she could do it with all her limbs available for use, a bit of food in her belly, and a fast horse between her legs. The only enjoyable part of her days now was how they ended. When Gemma closed her eyes at night, she could go home again. She could walk the bowered paths of Portland Park with Flora at her side. She could plant herself outside Kahneman’s Bakery in Armelle Plaza and inhale the yeasty sweetness of fresh bread. She could lower herself onto one of the plush kneelers of Notre Fille, swaddled in echoey silence, and gaze up at the great golden annulus floating like a hollow sun above the ambo. These dreams brought back all the quotidian details of her old life and, in the process, rendered them miracles. Other nights, darker visions came. Gemma would find herself sitting cross-legged beneath the willow tree on the banks of the Ivan. Moonlight scythed silver through the gaps in the branches, bejeweling Irene’s tearstained cheeks. The curtains parted; the play began. Shadows slipped into the bower, an infinite army of faceless Wesah warriors, while Irene simply faded away, as if she’d never been anything more than a phantom. Gemma’s heart still recoiled from the inescapable truth—that Irene must have played a part in the abduction that night. For the final few weeks of the journey to Sophia, Clive had been obsessed with the idea that Irene was a wolf in sheep’s clothing, but Gemma had discounted his suspicions as sour grapes. Even now, there was so much about the betrayal that didn’t make sense. Irene couldn’t have been working for Athène’s naasyoon from the beginning, so when did she turn? Had Clover known, or had she fooled him, too? And why would the Wesah go to such lengths to secure one unremarkable girl from the Anchor in the first place? Unfortunately, the only way to get answers would be to remain with the Wesah, and that was the last thing Gemma wanted to do. After her pathetic first attempt at escape, she’d fashioned herself into a model prisoner—silent and docile, practically bovine. Neither Athène nor any other member of the naasyoon ever hurt her (other than to restrain her wrists and ankles at night), and almost in spite of herself, Gemma began to acclimate to her new lifestyle, even to understand a few words of the Wesah language. Mafwe was a way to express surprise. Chee acted as a signifier for a question. The naasyoon usually woke before sunrise and rode for a few hours before stopping to eat. A small group of warriors would go off to hunt or forage, and only rarely did they return empty-handed. The preparation of meals fell to the two missives (or nisklaav, as they were known among the tribeswomen), Gornoy and Rugaru. Gornoy was short and burly, solid as a stone, while Rugaru was rangy and supple—he reminded Gemma of one of those slender, fragile-looking vines that turned out to be fibrous and impenetrable when you tried to cut it. Each man was rather handsome in his way, and Gemma doubted that was a coincidence. The Wesah didn’t raise boys within the tribe, which meant missives had to be imported, either by invitation or abduction; physical beauty was almost certainly taken into account during this selection process. Both missives were perfectly fluent in English—Gemma regularly overheard them telling bawdy jokes in a thick outerland patois—but they refused to speak it with her. Gornoy had only shrugged when she’d tried to engage him in conversation, while Rugaru had flicked a spoonful of boiling water her way and hissed like a snake. So much for solicitude from her fellow abductees. In general, the tribeswomen treated Gemma more like a pet than a prisoner. The only exception was a sharp-featured woman called Noémie, who made a point of shouldering Gemma whenever they passed each other, muttering dahor—the Wesah word for “outsider”—under her breath. Noémie was Athène’s favorite, often spending the night in the chieftain’s tent, emerging bleary-eyed and messy-haired the next morning. It was common knowledge that the Wesah permitted and even encouraged such liaisons, but Gemma hadn’t expected it to be so blatant. One night, the ruckus they made was so loud it caused quiet laughter among the others, and even kept Gemma from sleeping. On a clear morning a little more than two weeks after Gemma’s abduction, the gray outline of the Ramshield Mountains appeared on the horizon, and over the next few days, the sierra grew more and more distinct, until Gemma could make out every snow-cut facet and cloud-wreathed peak. A steep path, scarcely wide enough for two horses to ride abreast, led up the side of one of these mountains. It took hours to reach the summit, and all the while, Gemma had the strange sensation that she was acting as a counterweight to the sun, rising as it fell. At the top, she found herself gazing down on a deep caldera filled with luminous turquoise water and set in a corona of rime. The lake was roughly the shape of an hourglass—two roundish bodies connected by a narrow opening, like a corseted waist. Neighboring lakes sparkled in the distance, each one contained within the stone chalice of a mountain crater. Distracted by the view, Gemma didn’t notice the naasyoon’s preparations until the first drumbeats began reverberating around the caldera. She turned and saw the tribeswomen seated in a rough circle in the snow. Those with hand drums were already beating out a steady rhythm with small sticks wrapped in leather. After a time, an older tribeswoman donned a headdress of exquisitely beaded black feathers and began to sing. Her voice was strong and assured, if not particularly musical, and each phrase was echoed by the rest of the naasyoon. Gemma thought back to her days in the ministry and the call-and-response spirituals they would perform at gatherings. Not so different, really, from whatever this was. If she’d had her violin with her, she could’ve accompanied them; the song consisted of a single droning chord, so one could solo indefinitely on the same scale. Gemma realized her eighteenth birthday must have come and gone sometime in the last few days. Strange that such a milestone could pass unremarked and uncelebrated. Did the Wesah care about birthdays? And why should they? Why should anyone, for that matter? Flora’s birthday was exactly three months after Gemma’s. She’d be turning eleven this year—and who would be there to celebrate with her? Just their grandfather, unless Clive or Clover managed to make it home in time. Gemma stroked the necklace her sister had given her that last day in the Anchor: sweat-hardened and gritty, fibrous as hempen rope. “You cry,” Athène said, coming to sit beside Gemma. “I miss my sister,” Gemma replied, investing the words with accusation. “Not so close,” Athène said, “also not so far.” There was a playful glint in her eye, and Gemma hated how she couldn’t help but find it slightly charming. She turned away from the chieftain, gazing across the caldera lake, its frosty corona glittering like millions of tiny diamonds. The chanting of the tribeswomen seemed to grow louder, and though Gemma didn’t understand the words, she could tell that the song was a celebration of the majesty of this place. The Wesah tongue had never sounded so lovely, so full of meaning and mystery. The snowscape began to brighten, gleaming like a blown ember; Gemma closed her eyes against the dazzling white. In the darkness, time slowed, stumbled, stopped. Her senses began to merge. She saw the notes of the song, floating like rainbow motes against the black canvas of her eyelids. She heard the cascading melodies made by the day’s last sunbeams as they burnished the bronze surface of the lake. By the time she realized what was happening, the fit had already taken hold. She turned her gaze once again to Athène, who’d pushed back her fur hood and tilted her face up toward the sky. For the first time, the chieftain didn’t look like an enemy. She looked pure, peaceful, radiant . . .
Gemma’s last thought was of one more wonder, as unfathomable as any Wesah ritual, as compelling as any story told in the Filia. A part of her no longer wanted to run. 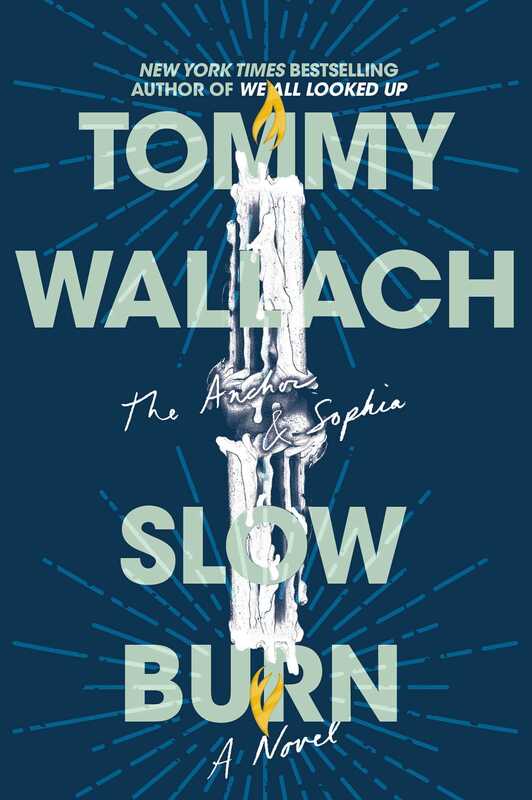 Tommy Wallach is the author of the Anchor & Sophia trilogy, Thanks for the Trouble, and the New York Times bestselling We All Looked Up, which has been translated into over a dozen languages. His writing has appeared in McSweeney’s, Tin House, Wired, and other magazines, and he is a MacDowell Fellow. He was signed to Decca Records as a singer-songwriter, and has independently released two full-length albums, including We All Looked Up: The Album, a companion record to his first novel. 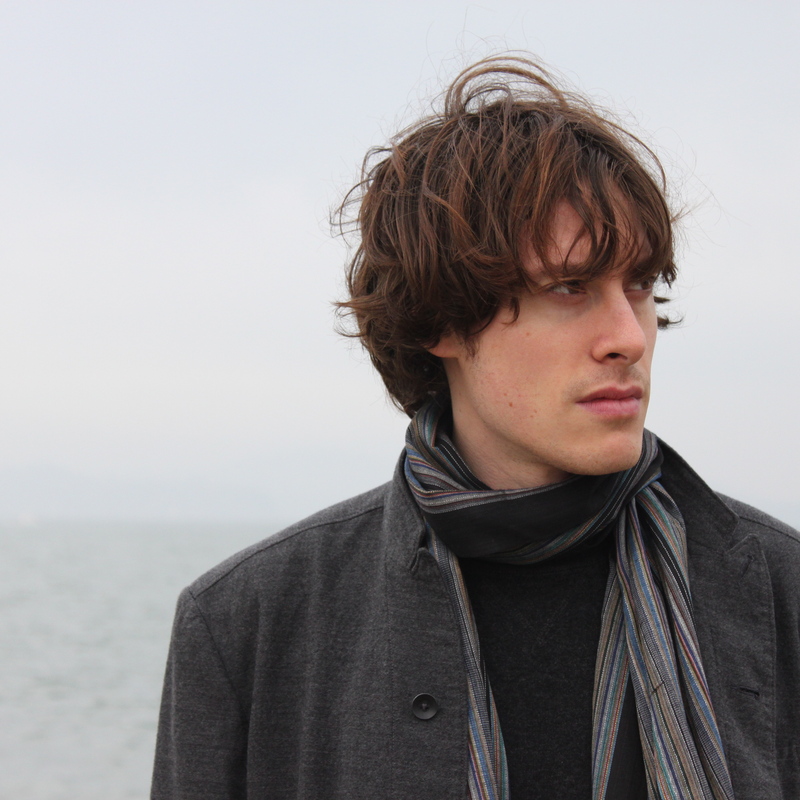 He currently lives in Los Angeles, where he recently opened up his first escape room, and is working on bringing his novels to various sorts of screens. Grok more at TommyWallach.com. "[B]eautifully written, fast-paced, action-packed...Fans of the series will anxiously await the third and final installment. A great choice for any young adult collections."